ENTEBBE – Police have charged Mr Enock Kato Kajubi, the Kabaka representative in Boston, USA, with inciting violence in connection with inciting protests over the arrest and alleged torture of Kyadondo East MP Robert Kyagulanyi aka Bobi Wine. Kajubi was last month arrested at Entebbe International Airport coming into the country. His passport was confiscated and has since been unable to leave the country. The charges were preferred against him by the Directorate of Criminal Investigations (CID) that has since sent his case to the Directorate of Public Prosecution (DPP) for possible sanction. CID spokesperson Vincent Ssekatte confirmed the charges against Mr Kajubi, adding that he has been charged alongside Mr Nasser Mugerwa, also based in the US. Kajubi is the son of Professor William Ssenteza Kajubi, a former Chancellor of Makerere University. Following the arrest and detention of Bobi Wine, several Ugandans in diaspora joined those here to stage demonstrations, demanding his release. From Denmark, Netherlands, Kenya, US to the UK, the demonstrators asked the Kampala government to respect basic human rights of the Opposition. Those in the State of Massachusetts, United States of America, staged a protest calling for the release of legislators and other Ugandans, arrested from Arua. The protest held in the city of Medford, brought together a number of Ugandans to denounce the acts of torture, abuse of human rights and illegal detention of, among others, MPs Robert Kyagulanyi, Francis Zaake, Paul Mwiru, Gerald Karuhanga, Former MP Micheal Mabikke and Arua Municipality MP-Elect Kassiano Wadri. The protesters carried placards with inscriptions calling for Kyagulanyi’s release. 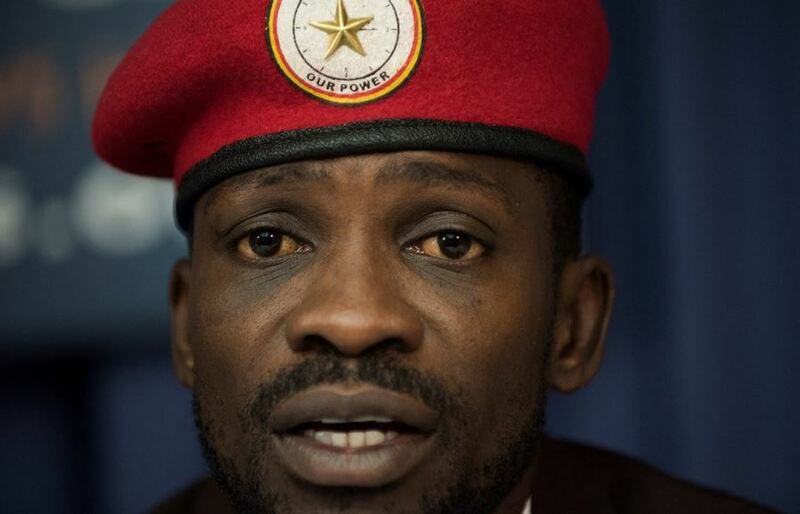 Free Bobi Wine, free our people, was a key call made by the protestors who also made placards out of Kyagulanyi’s popular slogans, “People power, our power”, “we are fighting for you, we are not fighting you” among others. Martin Byakuleka, the President of the Common League of the Ugandan Diaspora (CLOUD) who was the brain against the demonstration, said Ugandans abroad were saddened that Ugandans are being treated brutally. He said the demonstration was meant to show their dissatisfaction on the fictitious charges, torture and intimidation that Ugandans have endured under the leadership of Yoweri Museveni.